I confess there was a time I didn’t like girls. Especially dealing with more than one at a time. I had friends that I got close to, but we didn’t hang in a group and there was always angst if the individual friends overlapped at events. And as I got older the phrase ‘women friends’ made me shudder as much as hearing the term ‘chick-flick.’ I had had numerous negative experiences interacting with women groups in various settings. I didn’t like the drama, cattiness, gossip-focus, or mean-spirited remarks thrown out in the name of humor. I refused to join any group or organization, no matter how worthy it’s cause, if it had ‘women’ in its title. Then two things happened: Book Buzz and Return to me. Some years back I wanted to discuss the suspense books I read as well as broaden my scope of reading, so I organized a book club. I invited women from my church and neighborhood who I knew casually to meet at my house – and Book Buzz was born. I didn’t think of it as having a group of women over – I thought of it as a group of readers. And what an enjoyable group it was! I had already hit 40, and I was just finding out how great a bunch of gal pals could be. Over the next decade with these women, the positive interaction and deepened friendships made me more receptive to expanding my circles and embracing the unique aspects of having women friends of all different ages, backgrounds, and life experiences. My existence continues to be enriched by the wonderful women in my life. The same year that Book Buzz got started, I saw the charming movie Return to Me which demonstrated that “chick-flick” was not always synonymous with ‘ “insipid.” My Big Fat Greek Wedding and Calendar Girls reinforced that concept. As a matter of fact, I went to see the latter with my Book Buzz buds and thoroughly enjoyed both the movie and the company! Have a movie night with back-to-back movies that celebrate friendship such as Beaches, A League of Their Own, and Thelma And Louise. Click HERE for 20 more suggestions. Send flowers to an out-of-town friend. Go visit a shut-in, aged women, or anyone you know that has lost a friend. Participate in a a program that promotes women in society. 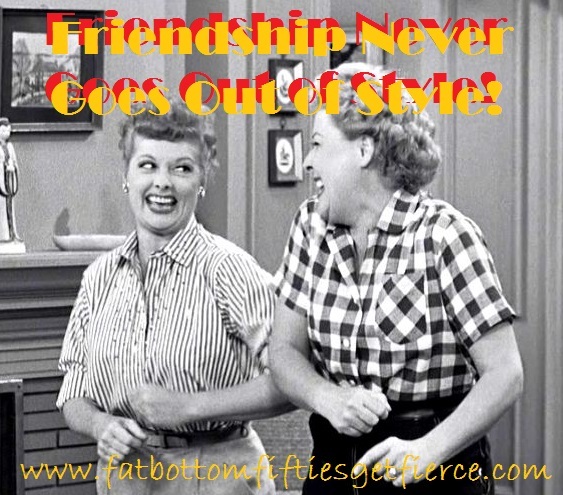 Think “Lucy and Ethel” and have some fun! 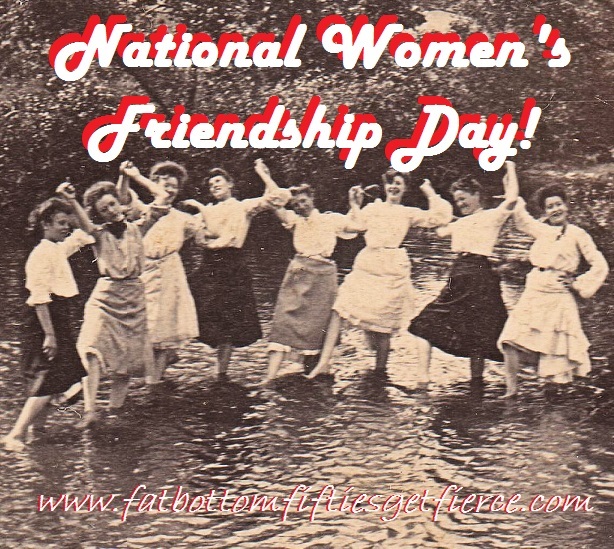 HOW WILL YOU CELEBRATE NATIONAL WOMEN’S FRIENDSHIP DAY?